As the enrichment specialist for my building, I'm charged with creating ways to challenge everyone. That's no small task! 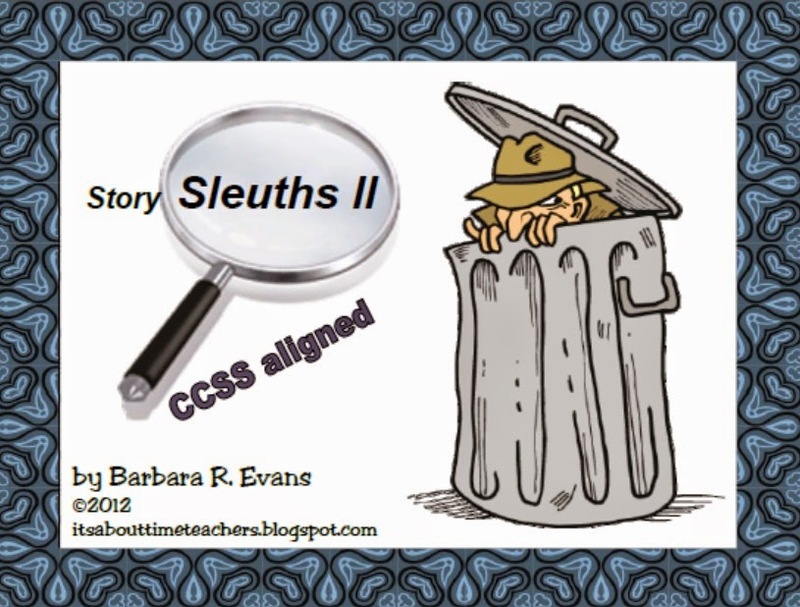 So, I try to come up with things that will cover multiple grade levels. 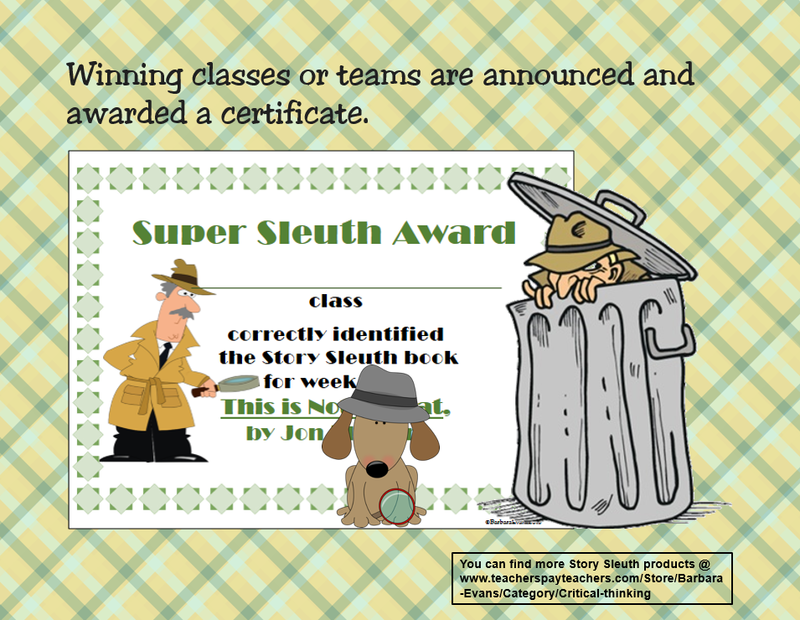 Story Sleuths is one such activity. Originally, I designed it for gr. 1 - 3. However, kindergarten classes and 4th graders begged to join in on the fun. So, of course, they were included. 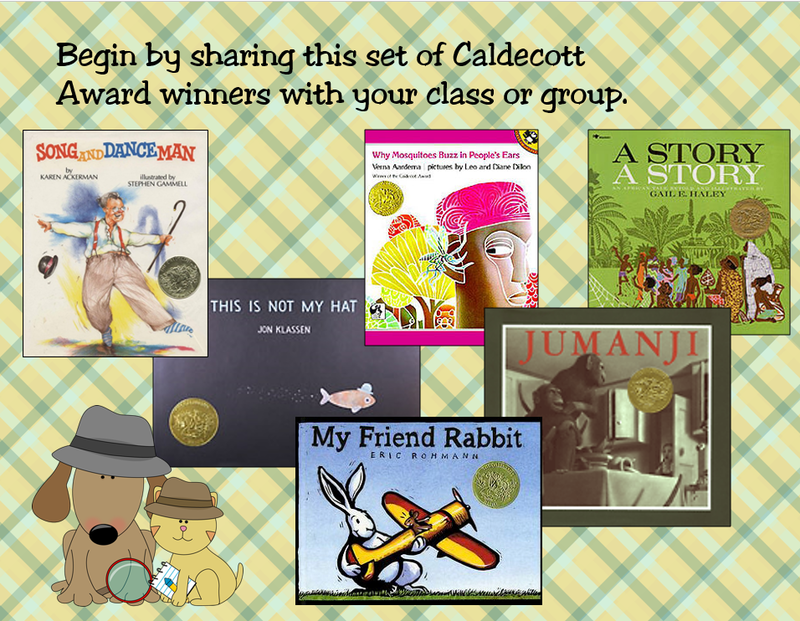 This project begins with students reading (or being read) a specific set of 6 Caldecott Award winning books. Since these books were recognized for their illustrations, it's important to draw students' attention to the pictures. 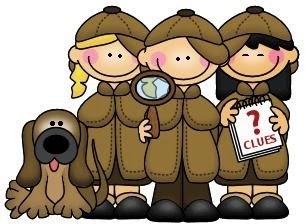 Not to mention that 1 clue in every set makes reference to the artwork. Because there are over 600 students in my building and only 1 of me, I require that the classes submit 1 solution as a whole group. (No way I'm slogging through 100s of guesses.) This results in some pretty amazing collaboration among the students. 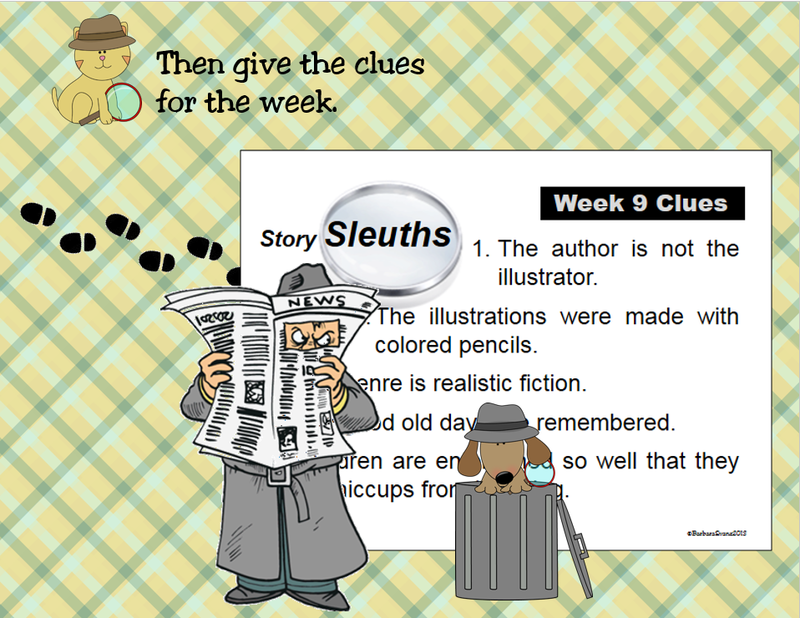 Each set of Story Sleuths has 4 weeks of clues. The classes read 6 books so that they still have to think as week 4 rolls around. Process of elimination will only take them so far in this challenge. Also provided are book icons that can be displayed in the classroom. Per my recommendation, the icons for the books that have been used are taken down, helping the students focus on the remaining books. You need not be an enrichment specialist to make this project work. 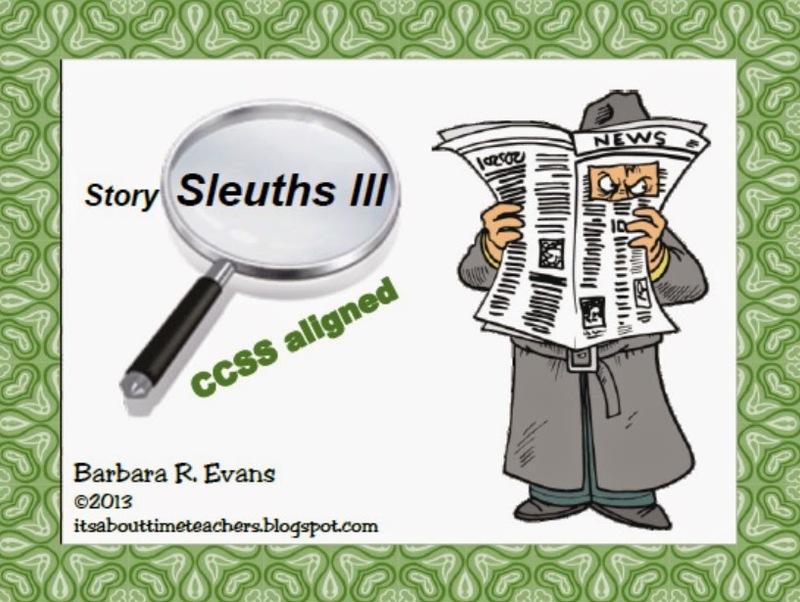 Classes within 1 grade level could challenge each other or do it independently. I've had some teachers form teams within their class so as to promote the collaborative thinking. This also works well for the school librarian, especially near the annual announcement of the Caldecott Awards. 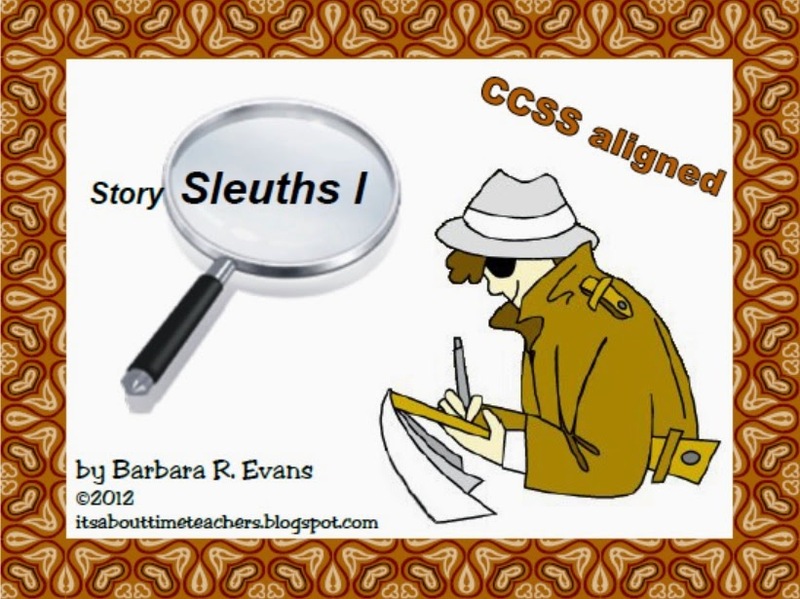 The art specialist can add great depth to this activity by exploring the art techniques associated with each book's illustrations. 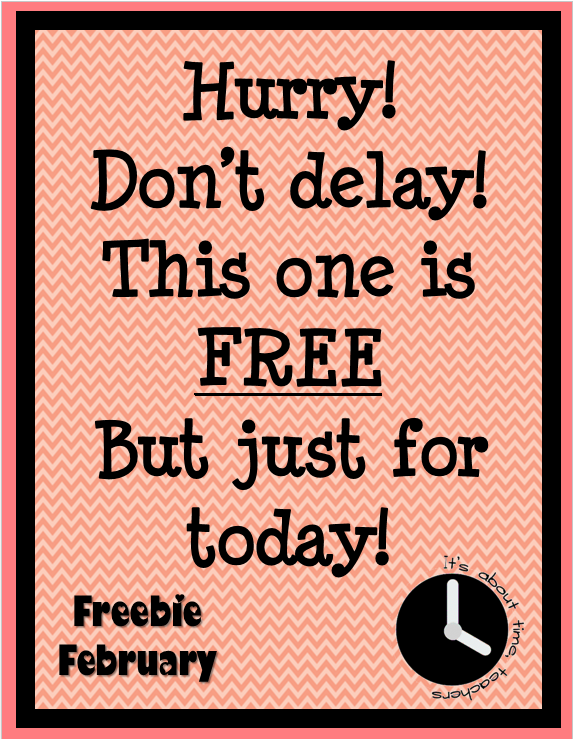 Inasmuch as it's Freebie February, today I am offering Story Sleuths III for free. So hurry up and claim your copy. It's only free for 24 hours. 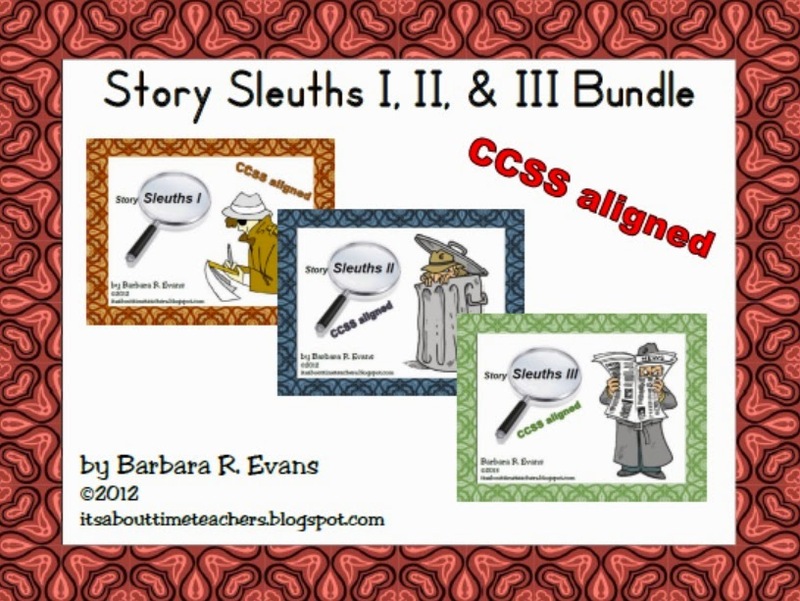 There are 3 sets of Story Sleuths so far, plus an economical bundle of the 3.